Exporters first need to register with the Registry of Companies and Business Names (through the Ministry of Finance) in order to obtain a company registration number. Then, they should register with Brunei’s Royal Customs and Excise Department (RCED). Afterwards, exporters will be able to make an account on the Brunei Darussalam National Single Window – an online portal which streamlines all subsequent submission of documents as well as customs clearance and payments. 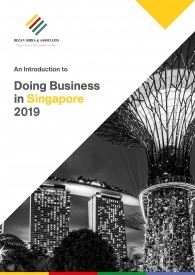 Businesses exporting out of Brunei must provide Bill of Lading; Commercial Invoice; Customs Export Declaration; Packing List; Insurance Certificate; Export Permit; and Certificate of Origin. Exporters first need to register with Cambodia’s Department of Business Registration, under the Ministry of Commerce. Cambodia uses the Automated System for Customs Data (ASYCUDA) created under the United Nations Conference on Trade and Development (UNCTAD). To register with ASYCUDA, exporters require a Taxpayer Identification Number (TIN). To acquire a TIN, exporters must register with the General Department of Taxation, under the Ministry of Economy and Finance. Finally, exporters must register with the General Department of Customs and Excise. Subsequently, exporters need to register their value added tax (VAT) accounts with the General Department of Taxation (Ministry of Economy and Finance). Exporters operating out of Special Economic Zones (SEZs) must apply with the Free Zone Management Department of the General Department of Customs and Excise in Phnom Penh. Businesses exporting out of Cambodia must provide Customs Export Declaration; Commercial Invoice; Packing List; Road Transport Document (if departing by land); Bill of Lading (if departing by sea); Terminal Handling Receipts (if departing by sea); Insurance Certificate; Export Permit; and Certificate of Origin. Exporters are required to register with Indonesia’s trade department and obtain a customs identification number (Nomor Identitas Kepabeanan, NIK), a personal identification number given by the Directorate General of Customs and Excise. 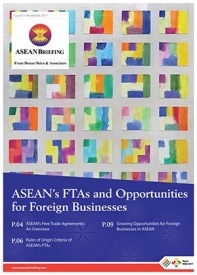 In addition, exporting companies must already have a taxpayer identification number (NPWP) and one of the following business licenses: Trade license (SIUP) from the Ministry of Trade; Manufacturing license from the Ministry of Industry, or other licenses issued by the relevant authority; PMA license issued by the Investment Coordinating Board (BKPM); or Exporter identification number (APE). Businesses exporting out of Indonesia must provide Bill of Lading, Airway bill or other transport documents such as postal receipt, cargo receipt; Commercial Invoice; Customs Export Declaration; Packing List; Export declaration of goods (PEB); Insurance Certificate; Export Permit; and Certificate of Origin. Exporters can secure these licenses from the Department of Imports and Exports (DIMEX). Products under the automatic route are licensed for the purpose of collecting statistical information whereas products under the non-automatic route require permission from DIMEX to be exported. Businesses exporting out of Laos must provide Bill of Lading; Commercial Invoice; Packing list; Road transit document; Export Customs declaration; Copy of tax registration; and Copy of business license. Not all goods exported from Malaysia require a license. To export goods which require a license, traders first must register with the Companies Commission of Malaysia. Once registered, a company must then apply for an export license from the Ministry of International Trade and Industry (MITI). To export goods from Myanmar, a company must provide an export declaration form called CUSDEC—2 as well as the CUSDEC—4 Customs Valuation Form. Exporters also require to submit Export License; Invoice; Bill of lading; Packing list; Sales contract; Shipping instructions; Letter of credit or general Remittance or Exemption Certificate; Sample of goods; Fumigation certificate (when required); Phytosanitary certificate (when required), and Recommendation from concerned ministry (when required). First time exporters need to register with the Client Profile Registration System (CPRS) through the Philippine Exporters Confederation. The CPRS accreditation must be renewed annually, costs P1000 (US$20) and takes approximately 15 business days. 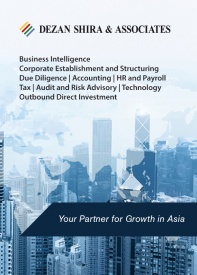 For certain types of exporters, the Philippines requires additional registration. For instance, coffee exporters must register with the Export Marketing Bureau. Exporters operating out of a special economic zone (SEZ) must register with the Philippine Economic Zone Authority (PEZA) while companies exporting out of free port zones must register with the specific free port. Once registered, exporters will receive a Unique Registration Number, necessary for all export activity. Businesses exporting out of the Philippines must provide Packing List; Invoice; Bill of Lading; Export License; Customs Export Declaration; and Certificate of Origin. All goods exported from Singapore must be declared, though they are not subject to GST and duty. A certificate of origin can be acquired for any exported good created in Singapore through the online TradeNet platform. To begin the export process, the exporter must obtain a Unique Entity Number (UEN) by registering with the Accounting and Corporate Regulatory Authority (ACRA), or another relevant UEN issuance agency, which will allow the exporter to activate its Customs Account. To acquire a customs export permit, exporters may register themselves as a declaring agent or appoint a declaring agent to act on their behalf. Permit applications are submitted online through the TradeNet system. If stated in the permit conditions or if the cargo being exported is a dutiable good, certain documents must be presented to checkpoint officers at the point of cargo lodgement. 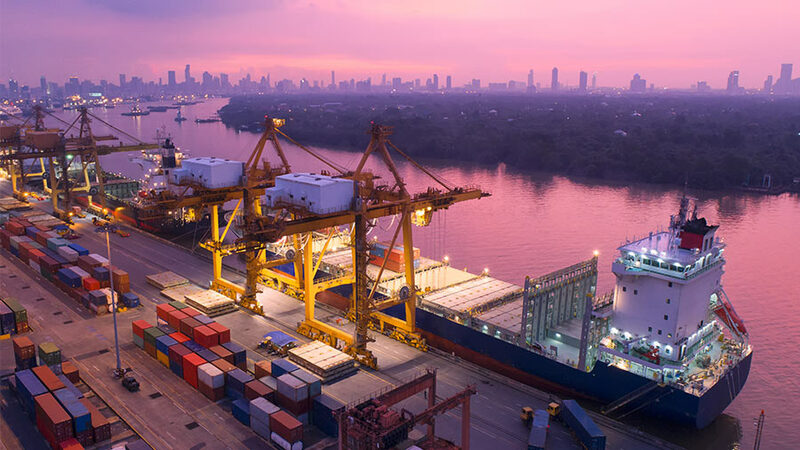 In such instances, both containerized cargo and conventional cargo require the approved customs export permit and supporting documents including the invoice, packing list, and the bill of lading or airway bill, in addition to having the permit number at hand. The procedures for exporting goods from Thailand have been centralized into the online e-Customs system. In order to register for the system, the exporter must already possess a ‘digital certificate’. Once a digital certificate is in place, the exporter may proceed to register for the e-Customs system. Two separate checks need to be made before goods are exported: firstly, to identify if goods require an export permit, and secondly, to ascertain if goods are considered ‘red line'(as opposed to green line). In terms of red line goods, extra documentation is required before the shipment can leave Thailand. These include Invoice; Export License (if required); other relevant documents (e.g. Food and Drug Administration approval, destination information, etc.). Green line goods are clear to proceed. In order to be able to conduct export business in Vietnam, a foreign investor must register with the Department of Planning and Investment (DPI). Additionally, foreign investors who wish to engage in export activities in Vietnam are required to obtain an Investment Certificate. Companies that wish to expand their current business operations in order to engage in export activities must follow the procedures for adjusting their Investment Certificates. Certain goods require the trading company to obtain export permits from the government. Companies that export goods must submit a dossier of documents to the customs authorities. The dossier must include at least the company’s business registration certificate and export business code registration certificate. Additional documents that may be requested by authorities depending on the exports in question include Bill of lading; Certificate of origin; Commercial invoice; Customs export declaration form; Packing list; and Technical standard/health certificate.